9th of January 2019: Breakbulk Middle East (BBME), a yearly conference gathering top industry leaders and experts from around the world, will be reiterating its goal of enhancing economic collaboration between the UAE and Saudi Arabia. 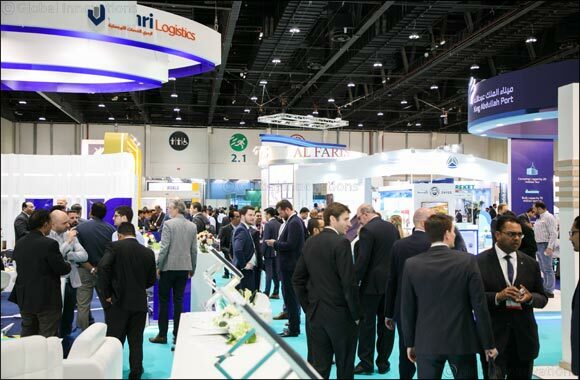 The event, held under the patronage of Dr.Abdullah Belhaif Al Nuaimi, the UAE Minister of Infrastructure Development and the Chairman of Federal Transport Authority for Land and Maritime, will be taking place in Dubai for its fourth edition from 11th February to 12th February 2019, at the Dubai World Trade Centre. It will aim to highlight the major issues related to the industry aspiring to unite key players in breakbulk and project cargo sector. The breakbulk industry plays a vital role in accomplishing major developments for the maritime sector. BBME 2019 will play a vital role in assisting UAE and Saudi Arabia further in strengthening the ‘Strategy of Resolve’ and carrying out fundamental transformations from a dependence on natural resources to more diversified and viable economies. One of the major topics of the event’s agenda is emphasizing the diversification in Saudi Arabia and its Vision 2030. The sessions at the event will give insights into regional infrastructure projects and government expansion for gaining independence from oil & gas. This will further provide opportunity for stakeholders to bring forth innovative solutions, which can prove to be beneficial for both countries. BBME’s conference and expo is expected to attract participants from more than 52 countries from all sectors of the project cargo and break-bulk industry, reflecting the high international interest in project development within the GCC.